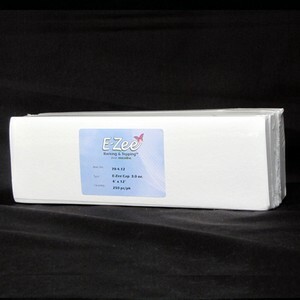 E-Zee Cap® 3.0 ounce is a heavy weight Tear Away backing cut specifically to fit in cap frames. Tension is maintained with the use of a cap backing, resulting in clean, clear and crisp designs. Great for the Front, Sides and Back of structured and non-structured Caps. Tears away cleanly and easily. Great For Creating Crisp Designs on caps. These 4.5" x 7" pre-cut sizes allows you to embroider on the front of the cap.